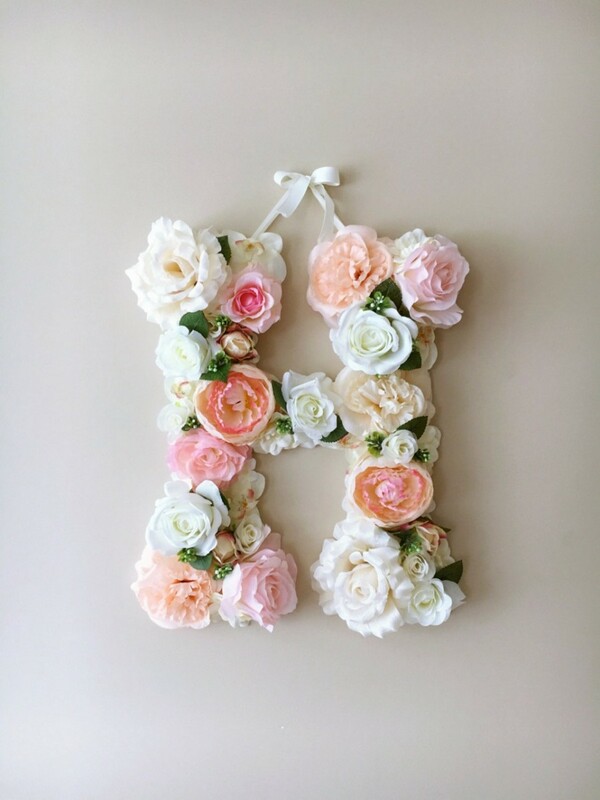 Made with high quality artificial flowers on a foamboard base, the Vintage Pale Pink Custom Flower Letter is a great for decoration at a wedding using the couples initials, and a lovely keepsake for afterwards. 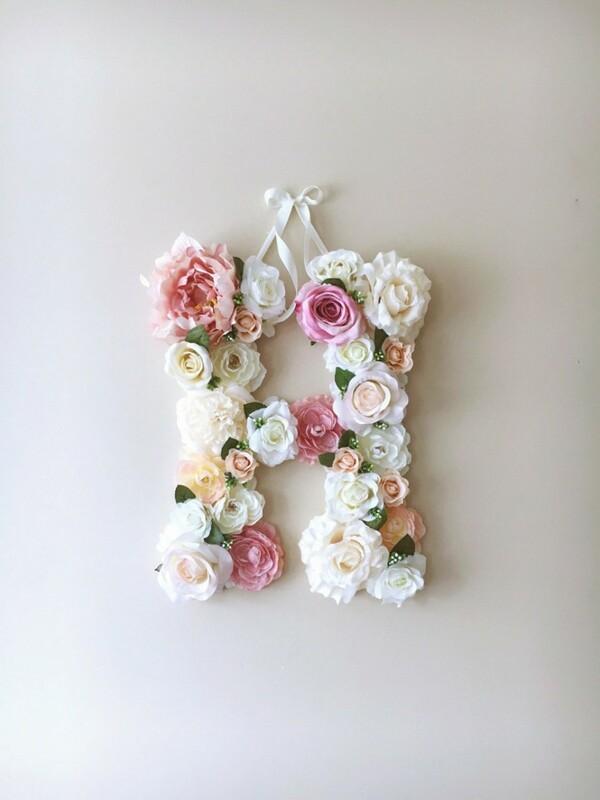 Perfect gift to a baby shower, this is a custom listing for flower letter in vintage pale pink, white and beige supplemented with green leaves and green bits. 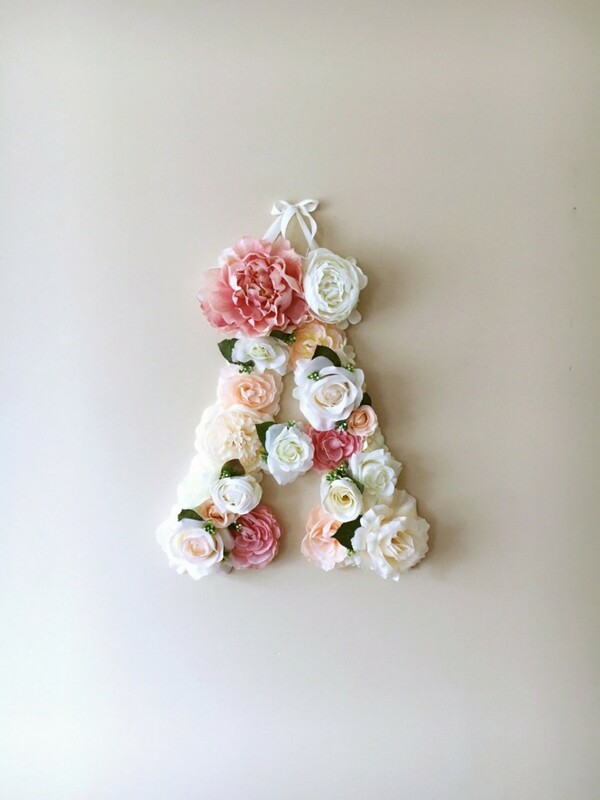 Fully handmade, this decorative accessory is a perfect decor for your dream interior, birthday party or wedding – will freshen up any type of room – nursery, entrance way or office, also looks nice when hung on a door. 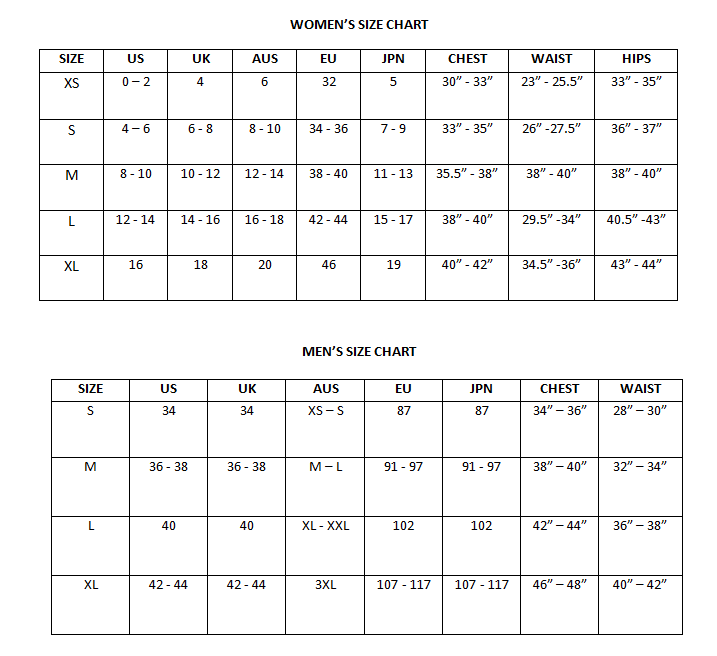 Make this a focal point or complete your gallery wall. 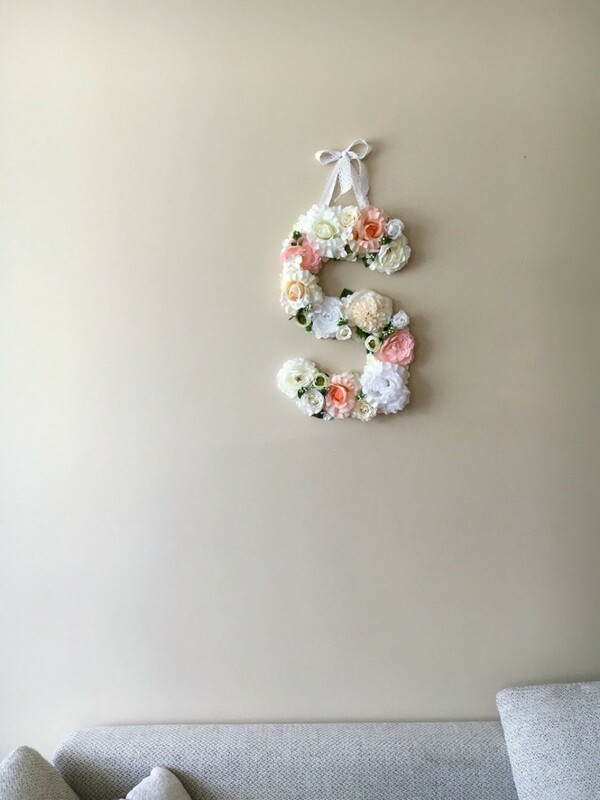 Every single petal is treated to give this decor finished and luxury look.